SEOUL, Feb. 27 (Yonhap) -- Former Prime Minister Hwang Kyo-ahn was elected new chief of the main opposition Liberty Korea Party (LKP) Wednesday with pledges to resolve its factional divides and mount a tougher challenge to the liberal Moon Jae-in government. 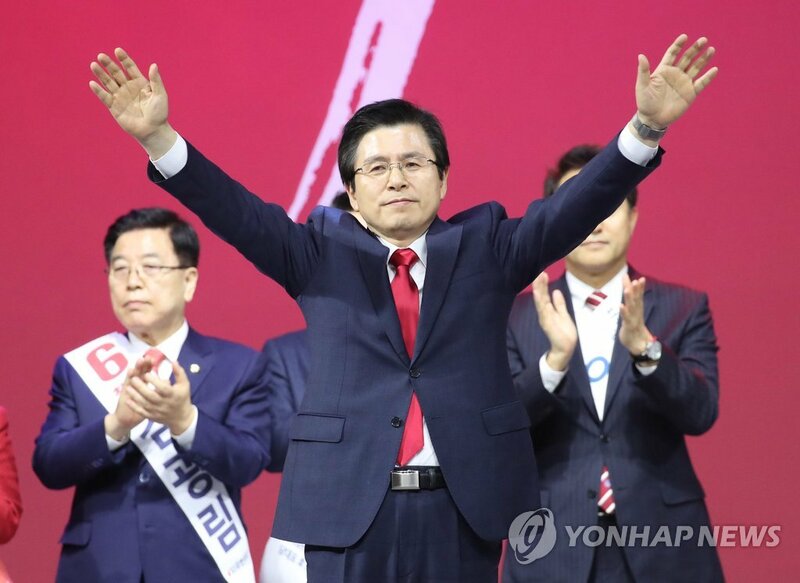 Hwang, 62, scored a sound victory over his two rivals -- former Seoul mayor Oh Se-hoon and far-right lawmaker Kim Jin-tae -- at the party's national convention. Hwang won 50 percent of the vote, compared with Oh's 31.1 percent and Kim's 18.9 percent. He replaces interim leader Kim Byong-joon for a two-year term and will navigate the conservative party to the 2020 parliamentary elections. Hwang pledged efforts to reshape the LKP as a party that cares for ordinary people and carves out a future-oriented vision. "From the moment that I come down from the podium, I will kick off a rigorous battle to challenge the Moon Jae-in government's tyranny and protect the nation and people," Hwang said in his acceptance speech. "Let me start a victorious grand journey to secure an overwhelming victory in next year's general elections and win power back in 2022," he said. Hwang's victory was widely anticipated as he had stayed ahead of his two rivals during the campaigning. 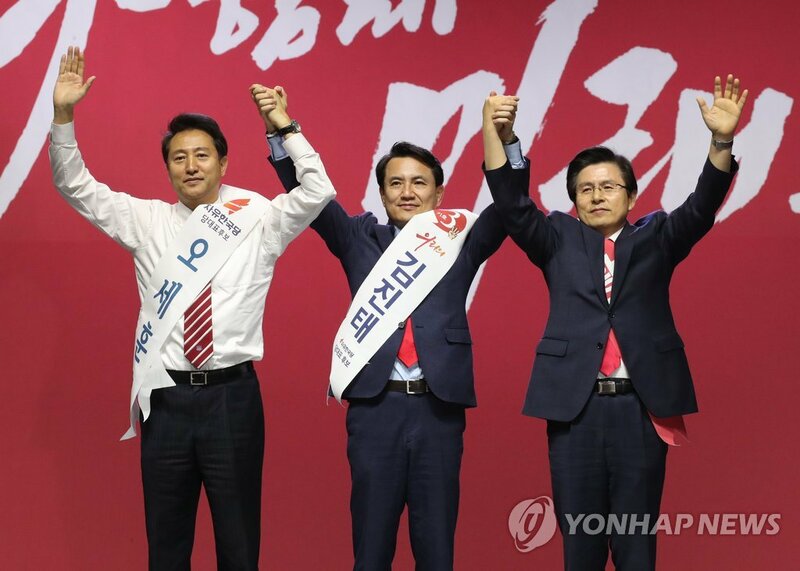 The party's traditional mainstream appears to be seeking a stable, powerful leadership to tackle the incumbent liberal government and an increasingly fierce ultra-rightist movement within the party led by people loyal to former President Park Geun-hye. 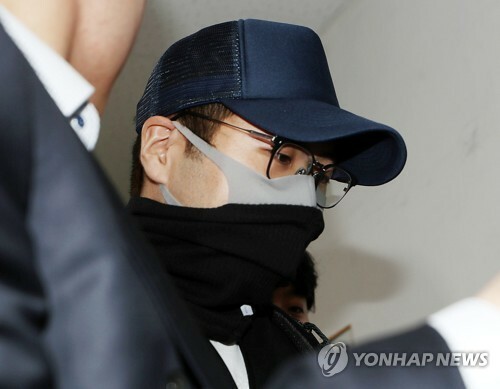 Park was ousted in March 2017 and is now in jail over a corruption and power abuse scandal. Hwang was prime minister from 2015-17 in the Park administration and also served as acting president when she was suspended from office by parliamentary impeachment in late 2016. Opinion polls show he is viewed among conservative voters as one of the most favorable candidates for the 2022 presidential election. 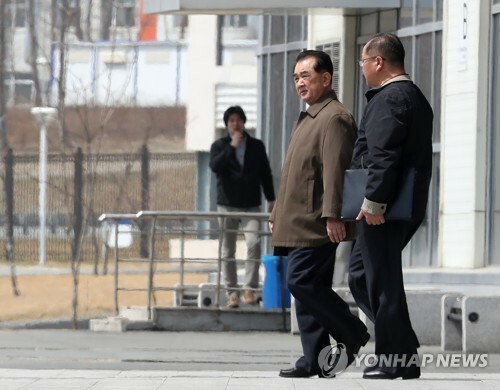 Hwang will face the task of restoring the unity and popularity of the party still affected by the lingering fallout from the Park scandal, experts said. The election demonstrated deepening factional divides among pro-Park rightists and reform-minded members within the party, each represented by candidates Kim and Oh. 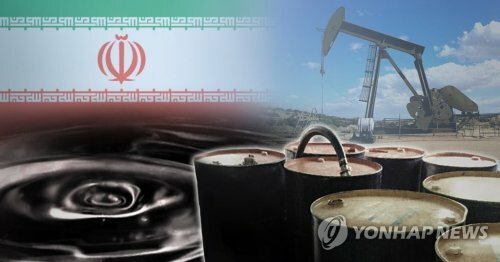 Oh outvoted Kim, in what could be taken as a positive sign by those party members hopeful for reform and cautious of a far-right direction for the party that would alienate voters ahead of the general elections. 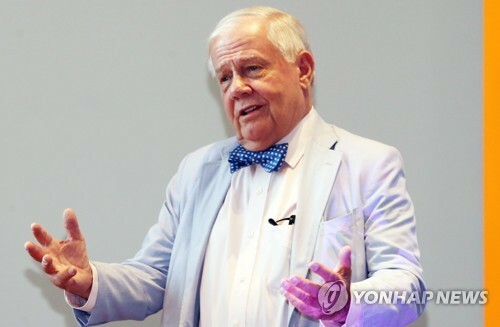 Once viewed as a moderate politician in the conservative bloc, Oh received support from people who weren't followers of Park during the campaign. He pledged to reform the party and change its image, as it's still seen as linked to Park's impeachment. Who came in second place was widely viewed as a yardstick in judging whether the LKP is leaning toward an ultra-right path, experts say. 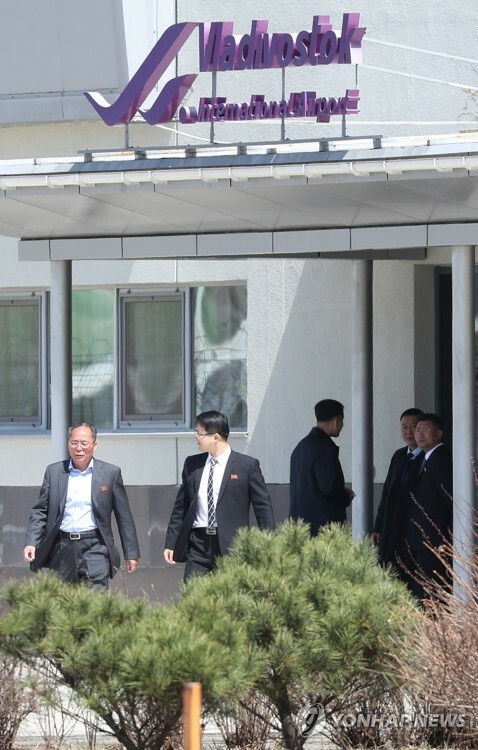 But the election of far-right lawmaker Kim Soon-rye as one of its four senior members indicates that Park loyalists still have a significant impact on the party. She is among three LKP lawmakers at the center of a controversy over what critics view as an attempt by aggressive conservatives to distort a pro-democracy movement in 1980. 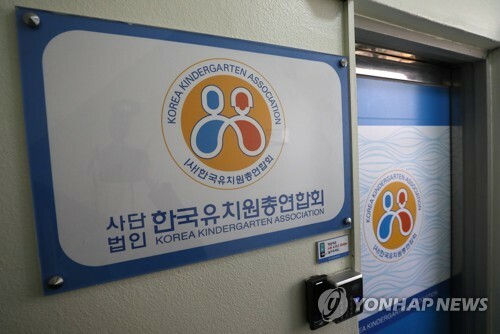 They have came under fire over the hosting of a public forum early this month in which they made controversial remarks disparaging the democracy movement in the southwestern city of Gwangju in 1980. The election has failed to arouse public interest as it was overshadowed by the second summit between U.S. President Donald Trump and North Korean leader Kim Jong-un in Hanoi.